Former barrister Declan Lohan who will make history on Sunday when he becomes the first priest to be ordained in Oranmore parish. A former barrister will be ordained to the priesthood in the Church of the Immaculate Conception, Oranmore on Sunday at 3pm. Declan Lohan from the Coast Road will serve in his home diocese (Galway, Kilmacduagh and Kilfenora ) after the historic ordination - this is the first time that an ordination has taken place in the parish of Oranmore. He will take up his new position in mid-August. Declan is the son of Matt and Mary Lohan who run a woodwork and joinery company at Carnmore. He attended Scoil Iósaif Naofa Primary School and Calasanctius College in Oranmore before studying at NUI Galway. He holds degrees in both Arts and Law. After a gap year teaching English in China, he studied law at King’s Inns, Dublin and qualified as a barrister in 2008. He went on to practise in both criminal and civil law at the Four Courts in Dublin and on the western circuit. Prior to entering the seminary he worked as a volunteer with the Legion of Mary and with Youth 2000 in Dublin and Galway as well as on the missions in England and France in his spare time. Declan began his training for the priesthood in 2007 in Toulon, France, returning to complete his studies at St Patrick’s College, Maynooth. He gives much of the credit for his vocation to the witness and example of many significant people he encountered, especially his family, teachers, neighbours and friends. "God put many good, virtuous, prayerful people in my path. They have helped me to know God and choosing the path to priesthood has made me deepy happy." As there is no bishop in the diocese, Bishop Brendan Kelly from Achonry, who is a native of Craughwell, will be the principal celebrant at the ordination. Canon Michael McLoughlin, the diocesan administrator, together with about 60 priests, will also participate. The choir, under the leadership of AnnMarie McGreevy, has been specially drawn from both Oranmore and Maree for the occasion. 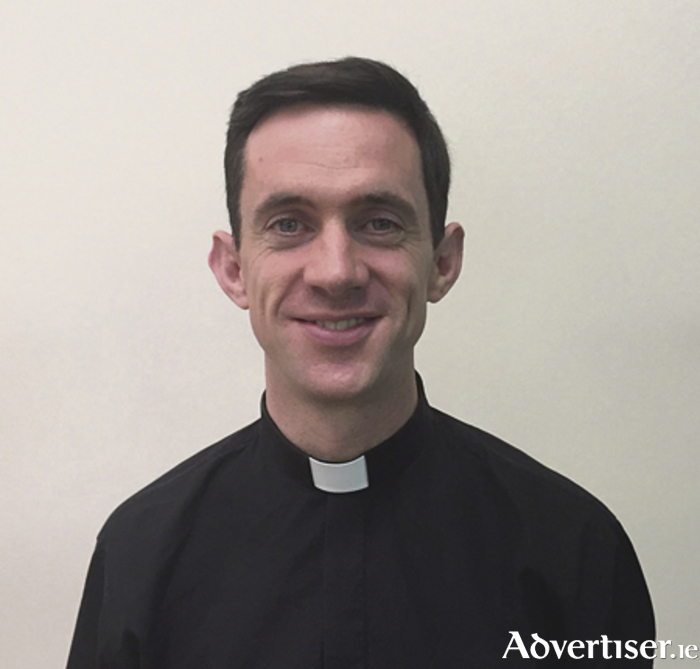 The newly ordained priest will offer his first Mass in Oranmore Church on Monday July 24 at 7pm. All are welcome both to the ordination and the first Mass. Commenting about the day, Canon Michael McLoughlin, the diocesan administrator, said Sunday is a "hugely" important day for Declan, his family, for Oranmore, the diocese and the Church. "We rejoice and we are glad. I pray that Declan will find joy and fulfillment in the service of God and the service of the people of God. "I ask that they would embrace him, make him welcome and keep him in their prayers." Canon Ian O’Neill, the diocesan vocations director, said this ordination gladdens the hearts of "all people of goodwill". "I am so pleased to welcome Declan as a brother priest and I know he will use his considerable gifts and abilities to serve the people of God who are to be entrusted to his pastoral care in the weeks ahead. I hope too that such good news will inspire others to consider the diocesan priesthood as a treasured opportunity to give real and valuable service to God and others. God calls us to be happy. For some, serving as a priest is the way to that happiness." Fr Diarmuid Hogan, the parish priest of Oranmore, outlined that over the past few weeks the entire community has rallied in support and preparation for the day. "We are well aware that it is an historic one for our parish and for our diocese. We are proud of our neighbour and friend Declan and we will forever keep him in our prayers. "We also offer him the traditional blessing given to a newly ordained priest – "ad moltus annos" – which means 'may you have many happy years.' May Fr Declan Lohan from Oranmore have many happy years ahead of him." Who wants to go to the Galway Races? Page generated in 0.2311 seconds.